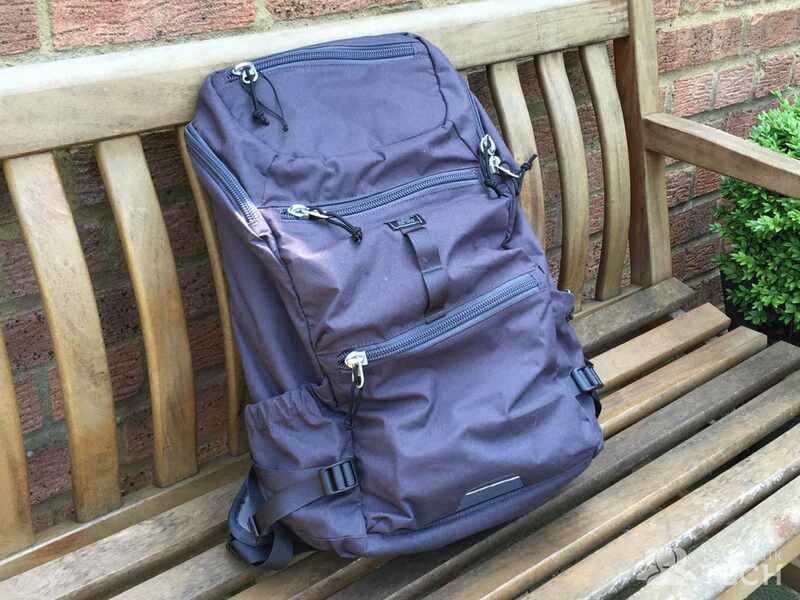 The Good: STM have built a bag here that’s lightweight, durable, comfortable and comes with plenty of storage for everyone. 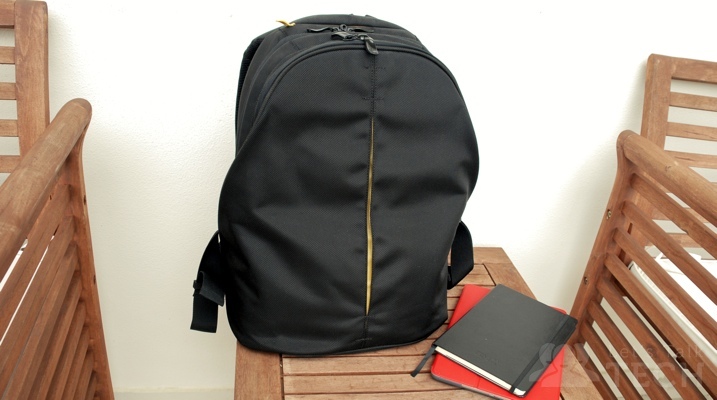 The Bad: The shoulder straps on the Drifter backpack could be better padded. The Bottom Line: If you’re looking for a functional, storage-packed and versatile backpack, the STM Drifter is a great option. I own quite a few backpacks, but whenever I need to pack for some time away I’m faced with the dilemma of which one to take. Do I go for the one that looks nicest, or the more functional option with lots of compartments and zippers? Well, on my recent trip to Copenhagen, STM wanted me to try out their most “fully featured” Drifter backpack (£90, but currently on sale). I was only going for an overnight stay so didn’t need too much stuff, but being a geek I was curious about whether I could cram all the gear I needed (including clothes!) in the Drifter alone. Weighing just over 1kg and capable of storing 18 litres of stuff, the Drifter backpack is a good fit for those who want to travel light and still have their gear nicely organised inside. In fact, considering just how light and flexible the Drifter is, it’s surprising just how many things you can squeeze into this bag. 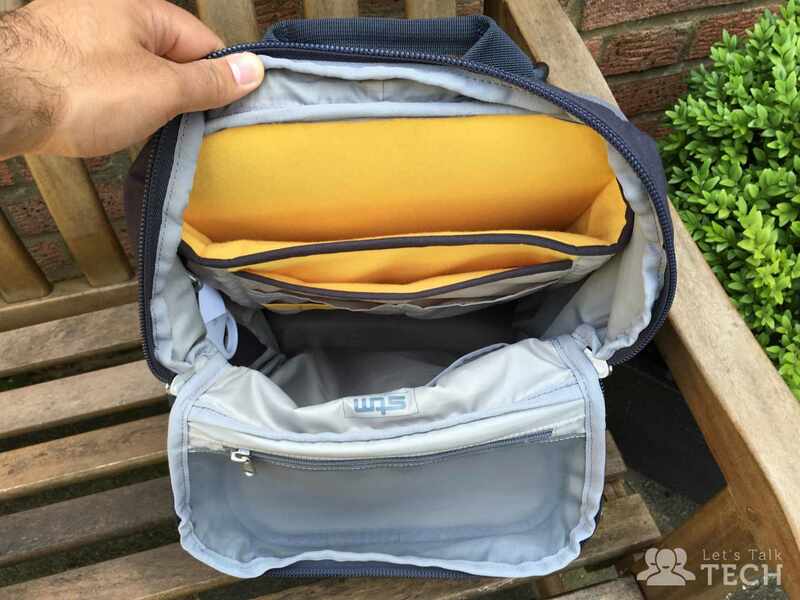 You’ve got zippers and pockets everywhere so you definitely won’t have any issues keeping your cables, hard drives and other accessories stored away — plus dedicated laptop, phone and tablet pockets within the main compartment of the bag. For that overnight stay in Copenhagen, I managed to squeeze in shoes, a change of underwear, jumper & t-shirt, small towel, toiletries, my iPad Air, documents/passport, chargers & cables, 2 chunky battery packs and my TYLT battery case. I could have comfortably squeezed in my 13” MacBook with its charger too, but I didn’t actually need it on this trip. 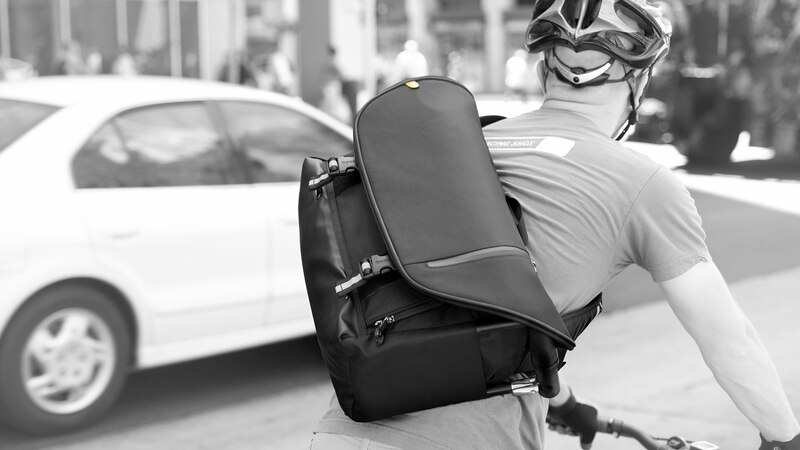 The Drifter backpack really can handle a lot! From a purely aesthetic point of view, the Drifter will likely appeal to those who prefer functionality. That’s not to say it’s an unattractive bag — I really like it myself — but the STM Drifter is the the kind of bag you’d use when you’ve got a ton of gear to carry and want keep it all organised, so that you don’t spend time rummaging when you need something. The Drifter’s exterior is coated in a soft water-resistant fabric which helps to give it a lightweight feel, but it still does a great job of protecting your gear in heavy rain. I walked around Copenhagen for two constant days of rain and my stuff was kept safe & dry the whole time. If you’re feeling extra protective though, STM also provide a rain cover you can use which is a nice touch. I’m a big fan of the pads STM has used on the back of the Drifter backpack. Not once did I feel uncomfortable or sweaty, and that’s largely down to the thickness of those cushions since they create space for airflow down the middle and sides of the backpack. It would have been a nice addition to see the straps getting some cushion love, but the bag is nice and comfortable either way. It doesn’t really take long for you to appreciate the high quality of the Drifter. Everything from the zippers to the stitching for the arm straps is on point and you definitely feel like you’ve got yourself a great bag here. I’ll most likely be taking the STM Drifter along with me for any city breaks or times when I need to carry lots of tech. I love how light and comfortable it is to use, and how much stuff I can squeeze into it too. 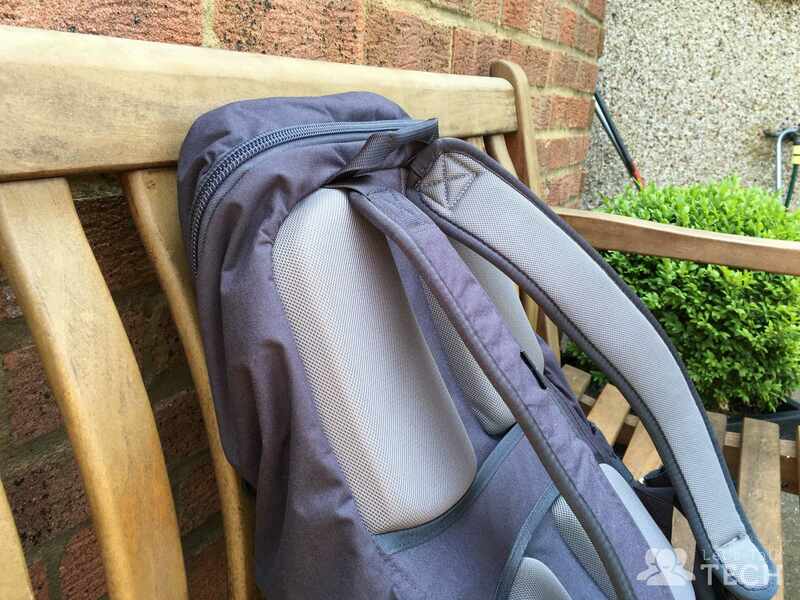 The price feels a bit steep for a backpack at £90, but you can be safe in the knowledge that you’re investing in something well made for the long-haul. 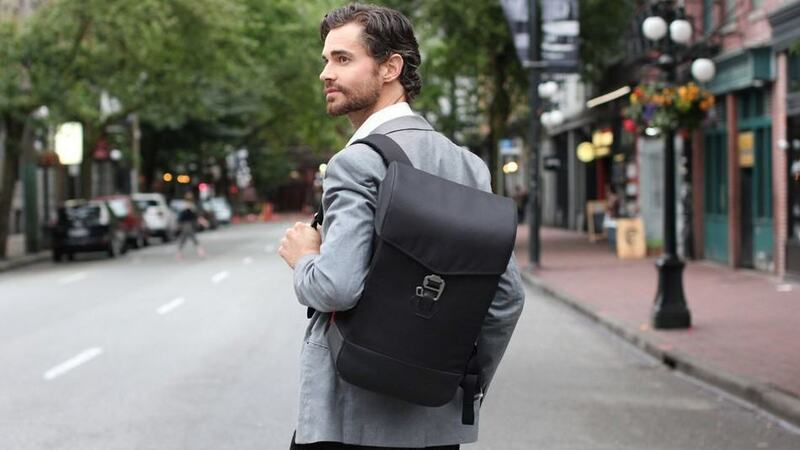 If you’re looking for a well constructed bag that you can throw around on your travels or daily commute to work, Booq’s Boa nerve could be a good fit. Premium craftsmanship and materials, modern look and excellent protection and comfort make the LE Bag Pro a no-brainer if you're looking for a great bag.